Linen information: If you purchased a linen Package from one of our vendors, the linens will be delivered to the property on your arrival date. Linens are not installed on the beds. On Departure remove ALL bed linens (Sheets and Pillow cases ONLY), Bath Towels, Washcloths, and Kitchen Towels and place them in the bags provided by the Linen Company and place them near the front door. Condo was just as described. Very clean with all the newest amenities and a gorgeous view!! Would definitely stay again! Everything was perfect! An adorable 2 bedroom and bath, with a nice big kitchen and living room. The kitchen had everything necessary, including spices!! Would definitely book this condo again. Lovely condo! Very clean and had everything we needed for a comfortable stay. My kids loved the game room! View was fabulous too!!! Many thanks to the owner! 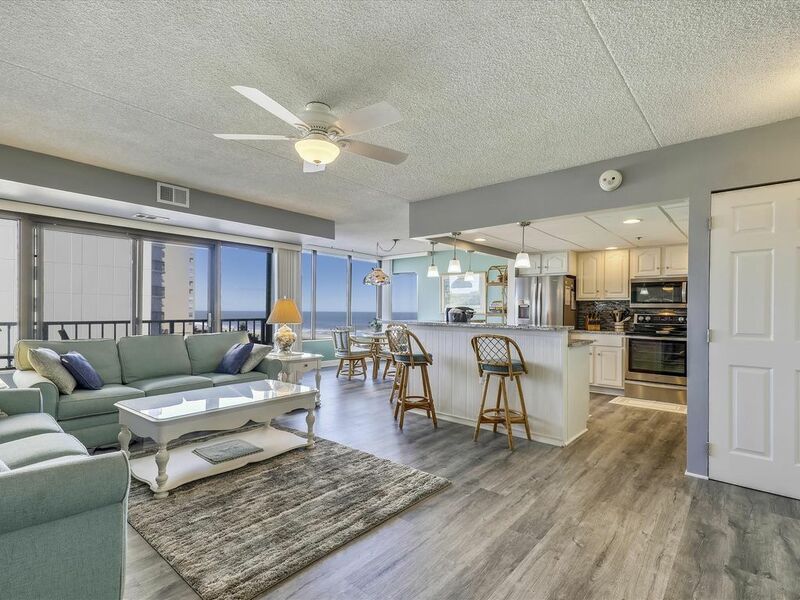 Capri (110th St) is a cozy, Beachfront property that offers you the best of both worlds: a quiet, Up-Town setting, but with all of Ocean City's fun & excitement right at your fingertips. Many great shops, activites & restaurants within walking distance, including the Gold Coast Mall, Candy Kitchen, The Greene Turtle, Pizza Tugos – and so much more! Conveniently located less than a mile from Northside Park (126th St.), where you can enjoy peaceful, Bayfront walking paths, fishing & crabbing pier, kids' playground, and numerous events & festivals throughout the year. Only minutes away from Ocean City's popular Boardwalk, thrilling amusements & world-class golf.